I don’t profess to be the biggest sneakerhead myself but in this behind-the-scenes look it appears that Anthony Mackie is rockin a pair of notable Air Max’s. The 95’s were popular partly because they were the first to have that forefoot air bubble. There have been many colorways of this shoe but the profile has remained a staple in many a sneaker head’s collections. They did have their issues. My friends that owned a pair complained of the sole ripping away at the toe, I heard of the bubble being faulty, and not to mention the white mesh being incredibly difficult to clean once soiled. None of these things deterred people from buying them. The bottom line is that they look fresh. Whether a character in a movie or meeting someone on a first date, shoes are important. The costume designers for Sam Wilson could have picked any number of shoes, boots or lack thereof for his appearances. What kind of shoes that you wear can be very revealing. Especially in this day and age. Shoe companies like Tom’s are now attaching themselves very closely to causes that come to define how customers view the company as a whole let alone an individual. Are the shoes brand new? Do they look worn but taken care of? Are the shoes dirty and flapping in the wind? Are they a brand that costs a weeks pay or an hours pay? Are the shoes one of a kind or staples that have been available for decades? Are they comfortable or borderline torture? They favor comfort. The person wearing them most likely has a normal to high arch and a narrow foot because that’s the foot that Nike’s favor. This shoe does not find it self selling for retail less than a hundred dollars, so the person is not afraid of spending some money for what they want. While the internet makes them easier to find you aren’t apt to find them in your local Sports Authority. The individual has the patience to search “all of the internets” and wait for shipping. That is unless you have a small boutique shop in your neighborhood that does all of the searching for you. Keeping them clean means they either care about them enough to only wear them on rare occasion or scrub them religiously. 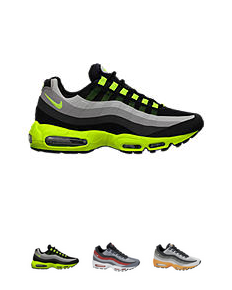 Their are only two types of people that still wear Air Max 95’s. The frequent runner and the serious collector. Some wearers are both, but the casual wearer just isn’t likely to stumble on to a pair of 95’s. That is mostly due to price and availability. All that info from a single glance down at someones footwear. 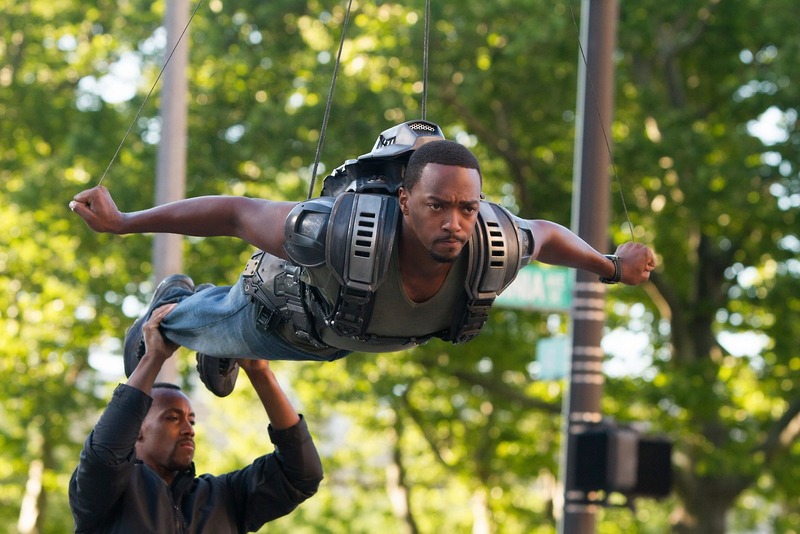 I’d like to think that Anthony Mackie had some small say in the appearance of the character Falcon. Using his sincere excitement for this superhero role to lobby to have his character put on this particular pair of Nike’s. All with the notion of preserving his fresh. Little do we know it was just a careful product placement to encourage more customization via the NIKEID shop.